The Clinical Dental Assistant Online Training Program will prepare you to become a productive member of a dental team as a professional dental assistant. You'll learn about every aspect of professional dental assisting, including invaluable real-world perspectives from experienced dental assistants and essential information about anatomy and physiology, preventive dentistry, patient care and communication, radiology, pharmacology, anesthesia, assisting in specialty practices, employment strategies, and much more. Upon finishing this program, you'll be prepared to successfully complete the radiology and infection control portions of the Dental Assisting National Board* exam. *CERTIFIED DENTAL ASSISTANT, CDA AND DANB are trademarks of the Dental Assisting National Board, Inc (DANB). This program is not reviewed or endorsed by DANB. The Clinical Dental Assistant Online Training Program provides an overview of the dental profession, dental health and disease, anatomy and physiology, infection control, basic dental assisting, radiology, dental materials, dental assisting in a specialty practice, and dental office management, all of which will prepare you to enter the dental profession as a dental assistant. After you've completed this program, you'll be ready to pursue certification as a dental assistant by passing the radiology and infection control portions of the Dental Assisting National Board* examination. The exam or one or more of its components is necessary in states where registration is required for dental assistants. CERTIFIED DENTAL ASSISTANT, CDA AND DANB are trademarks of the Dental Assisting National Board, Inc (DANB). This program is not reviewed or endorsed by DANB. The 40-hour Dental Externship is only offered to our Clinical Dental Assistant students. The application for the externship is within the program. Students must be at least 80% complete with the program before applying but will also have up to 6 months after completion to apply. The externship is not guaranteed. It is an optional part of the program, but highly recommended training for clinical assistant experience. We will assist accepted externship students in finding local offices that they are interested in. Externship students will need to pass a background check and a possible drug test. They will be asked to purchase liability insurance and be responsible for purchasing this on their own ($40 to $45 for an annual policy). Students will need to provide an updated resume, current CPR certification and proof of current Hepatitis B vaccinations or a current negative test form provided by a doctor, depending on the state or the doctor office that has been selected for the externship. There may be more requirements depending on the state or dental office selected. You must access this program with a PC or IBM-compatible computer. This program is compatible with the Windows XP and later operating systems and IE 7 and later browsers. Certification Exam Review for Dental Assisting: Prepare, Practice and Pass! Students should have a high school diploma or equivalent. Basic computer skills are required. No healthcare or medical office work experience is required. A current CPR certification is required for employment, but it's not required for this program. This program is for you if you want to learn about the dental assisting field and prepare for the radiology and infection control portions of the Dental Assisting National Board exam. Cindy Lamkin has been employed in the dental field for over 20 years. She graduated from the University of South Dakota with a degree in dental hygiene. In addition to practicing clinical hygiene, she has also worked in dental office administration and treatment coordinating. Her career includes general dentistry and specialty practices of periodontics, endodontics, pedodontics, and orthodontics. Cindy has both her registered dental assistant and registered dental hygienist credentials, and she's licensed to practice in multiple states. All of our programs are self-paced and open enrollment, so you can start them when you want and finish them at your own pace. Upon registering, you're given six months to complete this course. 12. Will I obtain a Dental Assistant Certificate at the end of this program? You will receive a certificate of completion from the school you registered with, if you successfully fulfilled the requirements of the Dental Assistant Online Training Program. You'll be prepared to take the Radiation Health and Safety and Infection Control components of the Certified Dental Assistant (CDA) Exam administered by the Dental Assisting National Board, Inc. (DANB). You'll be eligible to earn Certified Dental Assistant (CDA) certification after you've completed at least two years of employment (a minimum of 3,500 hours accrued over a two to four year period); to do so, you must meet work experience and other eligibility prerequisites and pass the General Chairside component of DANB's CDA exam, in addition to the Radiation Health and Safety and Infection Control components. All three components must be passed within a five-year period. For information about the DANB exam, please click here. 13. Can I work in a dental office without certification? When you've completed this program, you'll have the skills to work in a dental office. Regulations for the practice of dental assisting vary state by state. To find out about the laws in your state, consult the Dental Practice Act, available through the Board of Dentistry. Passing the Radiation Health and Safety and Infection Control components of the DANB Certified Dental Assistant (CDA) Exam may enable dental assistants to meet requirements for performing certain expanded duties in many states. 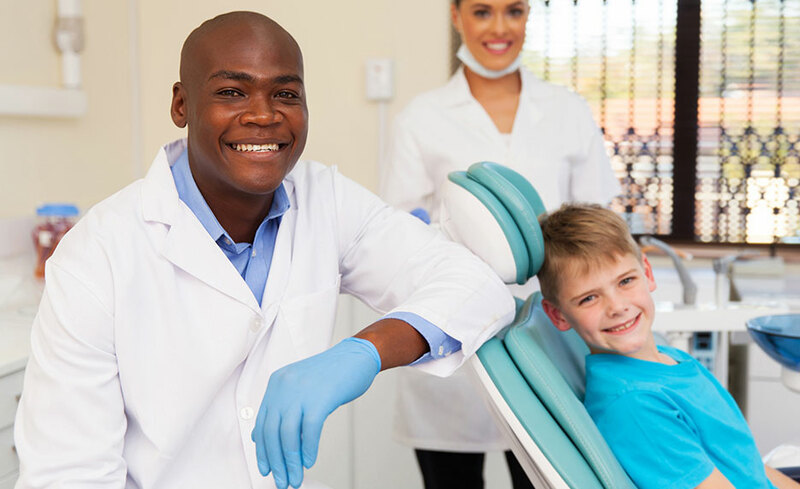 A dental assistant certified by DANB can often perform a larger set of expanded duties, depending on state laws and regulations. All of our students are encouraged to pursue certification. Completion of this online program will help entry-level students gain employment to fulfill the required work experience (a minimum of 3,500 hours accrued over a two to four year period) before taking the General Chairside component of the DANB CDA exam. Education To Go was great throughout the program. I think overall it was great! I enjoyed everything about the course and my advisor was great!! I would recommend this course or any other course! Everything worked well for me and it was easy to understand and follow. With my lifestyle it was great to be able to finish on my own time. I'm not really in a position to be in a traditional classroom, so this program was very helpful. I enjoyed being able to work at my own pace without feeling rushed. My instructor was great and very helpful whenever I had any questions. This program was very convenient for me with me working a full time job on top of trying to get an education. I was able to do it in my own time! Being a USMC wife, mom of 4 while working, it was exactly what I needed. My teacher was AMAZING! The student support was very helpful and overall it was a wonderful experience. I liked that I was able to go at my own pace. I also loved the flexibility; being able to login day or night, whenever it was convenient for me. My facilitator, Cindy Lamkin, was very helpful and always responded quickly. The support I received was outstanding. Anytime I had a question or an issue arose, ed2go was right on top things! I enjoyed being able to learn at my own pace. Every time I sent an email to my facilitator I received a response within 24 hours. It was very convenient!